A recently announced round of venture capital funding set a record for commercial real estate tech. According to the announcement, $55 million was raised by VTS, the industry's leading asset management and leasing platform. With this Series C funding round, the company’s total capital raised comes to $84 million, making the company both an industry leader in its technology offering as well as overall funding. VTS has become one of the world’s best platforms for asset management and leasing. The goal is to provide portfolio analytics in real-time to the top-rated brokerage firms and landlords around the globe. With VTS, brokers and commercial property owners are in a much better position for managing deal activity, identifying new trends, and quantifying performance within portfolios, whether they are working via mobile device or desktop. Insight Venture Partners, a venture capital and private equity firm located in New York, led this round of funding. There also was participation from Trinity Ventures and OpenView, both previous investors. With $55 million in funding, VTS will have the opportunity to expand its global presence, as well as expound on product innovation. Ultimately, this anchors the company’s mission for building a commercial real estate ecosystem where brokers and landlords can collaborate. This ecosystem will also help streamline workflow and allow for real-time decisions using competitive insights within the market. With VTS’s platform, changes will occur for innovative technology and real-time analytics, giving more power to industry leaders. For instance, key leaders will be able to make decisions that are both smart and data driven. According to Jeff Horing, managing director of Insight Venture Partners, his company is thrilled to be in partnership with VTS and its leadership team, something that will further advance innovation and growth on an international level. VTS’s platform manages more than 2.7 billion square feet of real estate. Based on this, the company’s platform has 80 percent of the top 10 investment managers worldwide. Even more top brokers and landlords were added to the platform after the company’s best quarter, Q1 of 2016. This includes Angelo, LaSalle Investment Management, Gordon & Co., RXR Realty, and many others. In addition, VTS pioneered the concept of showcasing market intelligence in conjunction with historical and future leasing data by integrating with CompStak, MRI, S&P Capital IQ, iPreo, Argus, and other key resources for data. 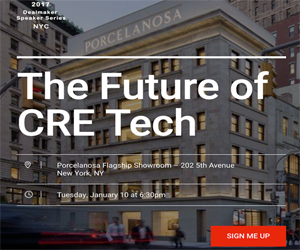 Nick Romito, co-founder and CEO of VTS, stated that the commercial real estate market is at a point where big changes are needed. As such, the most successful players in the market are driving movement to one platform, which is VTS. Romito explained that VTS is working alongside these players in developing a platform that has been in high demand for quite some time. Offering the entire industry a single platform, similar to what Bloomberg did for the financial services industry, VTS has been able to achieve efficiency and profitability for top commercial real estate players, according to Ryan Masiello, co-founder and CRO for VTS.